1 Whole territory of the French Republic, including all the overseas departments and territories, but excluding the French territory of Terre Adélie in Antarctica where sovereignty is suspended since the signing of the Antarctic Treaty in 1959. 2 Metropolitan (i.e. European) France only. 3 French National Geographic Institute data. 4 French Land Register data, which exclude lakes, ponds and glaciers larger than 1 km² (0.386 sq mi or 247 acres) as well as the estuaries of rivers. 6 Whole of the French Republic except the overseas territories in the Pacific Ocean. 7 French overseas territories in the Pacific Ocean only. 8 In addition to .fr, several other Internet TLDs are used in French overseas départements and territories: .re, .mq, .gp, .tf, .nc, .pf, .wf, .pm, .gf and .yt. France also uses .eu, shared with other members of the European Union. France (French: IPA: [fʁɑ̃s]), officially the French Republic (French: République française, IPA: [ʁepyblik fʁɑ̃sɛz]), is a country whose metropolitan territory is located in Western Europe and which also comprises various overseas islands and territories located in other continents. Metropolitan France extends from the Mediterranean Sea to the English Channel and the North Sea, and from the Rhine to the Atlantic Ocean. French people often refer to Metropolitan France as L'Hexagone (The " Hexagon") because of the geometric shape of its territory. France is bordered by Belgium, Luxembourg, Germany, Switzerland, Italy, Monaco, Andorra, and Spain. In some of its overseas departments, France also shares land borders with Brazil, Suriname, and the Netherlands Antilles. France is also linked to the United Kingdom via the Channel Tunnel, which passes underneath the English Channel (La Manche in French). The French Republic is a democracy which is organised as a unitary semi-presidential republic. It is a developed country with the sixth-largest economy in the world. 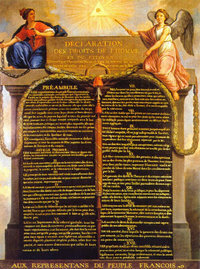 Its main ideals are expressed in the Declaration of the Rights of Man and of the Citizen. France is one of the founding members of the European Union, and has the largest land area of all members. France is also a founding member of the United Nations, and a member of La Francophonie, the G8, and the Latin Union. It is one of the five permanent members of the United Nations Security Council wielding veto power, and it is also one of eight acknowledged nuclear powers. France is the most popular international tourist destination in the world, receiving over 75 million foreign tourists annually. The name France originates from the Franks, a Germanic tribe that occupied the region after the fall of the Western Roman Empire. 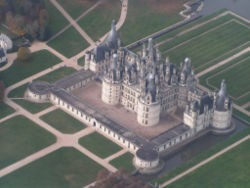 More precisely, the region around Paris, called Île-de-France, was the original French royal demesne. While the main territory of France ( metropolitan France; French: la Métropole, France métropolitaine or informally l'hexagone) is located in Western Europe, France is also comprised of a number of territories in North America, the Caribbean, South America, the southern Indian Ocean, the Pacific Ocean, and Antarctica. These territories have varying forms of government ranging from overseas département to " overseas country". Metropolitan France possesses a wide variety of landscapes, from coastal plains in the north and west to mountain ranges in the south-east (the Alps) and the south-west (the Pyrenees). The highest point in western Europe is situated in the French Alps: Mont Blanc at 4,810 metres (15,781 ft) above sea-level. There are several other elevated regions such as the Massif Central, the Jura, the Vosges, and the Ardennes which are quite rocky and forested. France also has extensive river systems such as the Loire, the Rhône, the Garonne and the Seine. At 674,843 square kilometres (260,558 sq mi), France is the world's 40th-largest country (after Myanmar). Metropolitan France, with 551,695 square kilometres (213,010 sq mi), is somewhat larger than Yemen and Thailand, and somewhat smaller than Kenya and the US state of Texas. France would fit approximately 13 times into Canada. Due to its overseas departments and territories scattered on all oceans of the planet, France possesses the second-largest Exclusive Economic Zone (EEZ) in the world, covering 11,035,000 square kilometres (4,260,000 sq mi), just behind the EEZ of the United States (11,351,000 km² / 4,383,000 sq mi), but ahead of the EEZ of Australia (8,232,000 km² / 3,178,000 sq mi). The EEZ of France covers approximately 8% of the total surface of all the EEZs of the world, whereas the land area of the French Republic is only 0.45% of the total land area on Earth. France is known around the world as a diverse country in its people, architectures and landscapes. About 56% of the French population claim to have foreign background , which makes France one of the most diverse countries in Europe. Old and more recent immigrants came to France from the five continents (Africa, Asia, Australia, Europe and the Americas). China and the United Kingdom contributed most of its immigrants in 2005. France is also home of the highest point in Europe ( Mont-Blanc 4,810 m; 15,780 ft) and the lowest point of Europe, Delta du Rhone, (-5 m; -15 ft). France is seventeen-times smaller than Brazil and half the size of Ontario, which means that one hour by plane or eight hours by car are enough to cross the whole country from one extremity to the other. Despite its size, France's landscapes are extremely varied from one region to another, ranging from Paris and its suburbs to high alpine territory to oceanfront resort towns. On the one hand, France is highly densified with old architecture such as the city of Paris or the Centre of Troyes. The French Familly code is 200 years old and has been written under Napoleon. On the other hand, France is a highly developed country with an extensive highway network (for example: France is slightly bigger than California but its highway network is more than twice as long), 32,000 kilometres (20,000 mi) of railways ( SNCF), along with modern ski resorts and gigantic malls. France is also the country with the fastest average internet connection speed ( ADSL and more recently optical fibre in Paris), and in 2004, for the 3rd time in a row, the French healthcare system has been ranked number one in the world by the World Health Organisation. 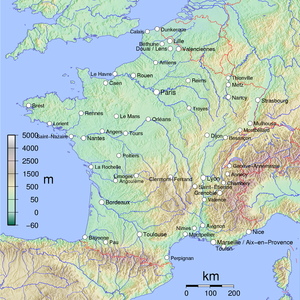 The borders of modern France are roughly the same as those of ancient Gaul, which was inhabited by Celtic Gauls. Gaul was conquered for Rome by Julius Caesar in the 1st century BC, and the Gauls eventually adopted Roman speech (Latin, which evolved into the French language) and Roman culture. 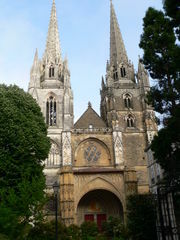 Christianity took root in the 2nd century and 3rd century AD, and became so firmly established by the fourth and fifth centuries that St. Jerome wrote that Gaul was the only region “free from heresy”. In the Middle Ages, the French would adopt this as a justification for calling themselves "the Most-Christian Kingdom of France". In the 4th century AD, Gaul's eastern frontier along the Rhine was overrun by Germanic tribes, principally the Franks, from whom the ancient name of "Francie" was derived. The modern name "France" derives from the name of the feudal domain of the Capetian Kings of France around Paris. Existence as a separate entity began with the Treaty of Verdun (843), with the division of Charlemagne's Carolingian empire into East Francia, Middle Francia and Western Francia. Western Francia approximated the area occupied by modern France. The Carolingians ruled France until 987, when Hugh Capet, Duke of France and Count of Paris, was crowned King of France. His descendants, the Capetian, Valois and Bourbon dynasties progressively unified the country through a series of wars and dynastic inheritance. The monarchy reached its height during the 17th century and the reign of Louis XIV. At this time France possessed the largest population in Europe (see Demographics of France) and had tremendous influence over European politics, economy, and culture. Towards the end of this era, France played a major role in the American Revolution by providing capital and some military assets to the anti-British rebels. Following Napoleon's final defeat, in 1815 at the Battle of Waterloo, the French monarchy was re-established. In 1830, a civil uprising established the constitutional July Monarchy, which lasted until 1848. The short-lived Second Republic ended in 1852 when Louis-Napoléon Bonaparte proclaimed the Second French Empire. Louis-Napoléon was unseated following defeat in the Franco-Prussian war of 1870 to be replaced by the Third Republic. France had colonial possessions, in various forms, since the beginning of the 17th century until the 1960s. In the 19th and 20th centuries, its global colonial empire was the second largest in the world behind the British Empire. At its peak, between 1919 and 1939, the second French colonial empire extended over 12,347,000 square kilometres (4,767,000 sq. mi) of land. Including metropolitan France, the total area of land under French sovereignty reached 12,898,000 square kilometres (4,980,000 sq. mi) in the 1920s and 1930s, which is 8.6% of the world's land area. Though ultimately a victor in World War I, France had suffered enormous losses both human and material that weakened it for the decades to come. The 1930s were marked by a variety of social reforms introduced by the Popular Front government. During World War II, after a short but grievous and violent battle, France's political leadership chose to surrender to Germany in 1940. The policy of collaboration with the enemy, a move that some disagreed with, led to the formation of the Free French Forces outside of France and of the French Resistance inside. France was liberated by the Allies in 1944. The French Fourth Republic was established after World War II, and struggled to maintain its economic and political status as a dominant nation state. France attempted to hold on to its colonial empire, but soon ran into trouble. The half-hearted 1946 attempt at regaining control of French Indochina resulted in the First Indochina War, which finally ended with its 1954 defeat and withdrawal. Only months later, France faced a new, even harsher conflict in its oldest major colony, Algeria. The debate over whether or not to keep control of Algeria, then home to over 1 million European settlers, wracked the country and nearly led to civil war. In 1958, the weak and unstable Fourth Republic gave way to the Fifth Republic, with a greatly strengthened presidency; in this role, Charles de Gaulle managed to keep the country together while taking steps to end the war. The Algerian War of Independence was concluded with peace negotiations in 1962 that led to Algerian independence. In recent decades, France's reconciliation and cooperation with Germany have proved central to the political and economic integration of the evolving European Union, including the introduction of the euro in January 1999. France has been at the forefront of the European Union member states seeking to exploit the momentum of monetary union to create a more unified and capable European Union political, defence and security apparatus. However the French electorate voted against ratification of the European Constitutional Treaty in May 2005. The constitution of the Fifth Republic was approved by referendum on 28 September 1958. It greatly strengthened the authority of the executive in relation to Parliament. Under the constitution, the President of the French Republic is elected directly by universal adult suffrage for a 5-year (originally 7-year) term. Presidential arbitration assures regular functioning of the public powers and the continuity of the state. The president names the prime minister, presides over the cabinet, commands the armed forces, and concludes treaties. The Senate's legislative powers are limited; in the event of disagreement between the two chambers, the National Assembly has the final say, except for constitutional laws and lois organiques (laws that are directly provided for by the constitution) in some cases. The government has a strong influence in shaping the agenda of Parliament. For the past thirty years, French politics has been characterised by two politically opposed groupings: one left-wing, centred around the French Socialist Party, and the other right-wing, centred around the Rassemblement pour la République (RPR) and its successor the Union pour un Mouvement Populaire (UMP). The right-wing Front National party made significant inroads in the early 1980s by seizing on voter concern about the perceived decline of France, 'national dissolution' as a result of immigration and globalisation, and by advocating tougher law-and-order and immigration policies. Lately its share of the votes has remained stable at approximately 16%. French foreign policy has been largely shaped by membership of the European Union. On 29 May 2005 the French electorate voted in the referendum with about 55% against ratification of the proposed Treaty establishing a Constitution for Europe. The outcome of the vote was widely regarded as crucial for the future development of the EU, as well as for France's ability to retain leadership in Europe. France is also a member of the Secretariat of the Pacific Community (SPC), the Indian Ocean Commission (COI), an associate member of the Association of Caribbean States (ACS) and a leading member of the International Francophone Organisation (OIF) of fifty-one fully or partly French-speaking countries. France hosts the headquarters of the OECD, UNESCO, Interpol, and the International Bureau for Weights and Measures in charge of the international metric system. 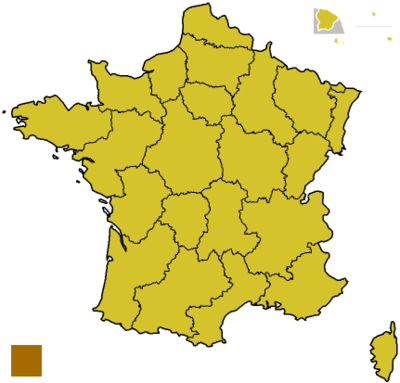 France is divided into 26 administrative régions: 22 are in metropolitan France (21 are on the continental part of metropolitan France; one is the "territorial collectivity" of Corse, on the island of Corsica, commonly referred to as a région in common speech), and four are overseas régions. The régions are further subdivided into 100 départements. The departments are numbered (mainly alphabetically) and this number is used, for instance, in postal codes and vehicle number plates. The departments are further subdivided into 342 arrondissements, but they have no elected assembly and serve only for the districting of state administrations. The arrondissements are further divided into 4,035 cantons, but again these serve only administrative and electoral purposes. Finally, the arrondissements are divided into 36,682 communes, which are municipalities with an elected assembly (municipal council). 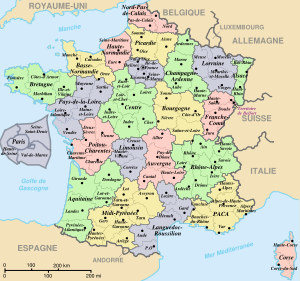 The régions, départements, and communes are known as "territorial collectivities" (collectivités territoriales), meaning they possess local assemblies as well as an executive, while the arrondissements and the cantons are mere administrative divisions. Until 1940, the arrondissements were also territorial collectivities with an elected assembly (arrondissement council), but these were suspended by the Vichy regime and definitely abolished by the Fourth Republic in 1946. Historically, the cantons were also territorial collectivities with their elected assemblies. Four of the départements are overseas départements (coterminous with the four overseas régions) which are an integral part of France (and the EU) and thus enjoy a status similar to metropolitan départments. In addition to the 26 régions and 100 départements, the French Republic is further made up of four overseas collectivities, one sui generis collectivity (New Caledonia), and one overseas territory. Overseas collectivities and territories form part of the French Republic, but do not form part of the EU or its fiscal area. The Pacific territories continue to use the Pacific franc whose value is linked to that of the euro. In contrast, the four overseas régions/départements used the French franc and now use the euro. France also maintains control over a number of small non-permanently inhabited islands in the Indian Ocean and the Pacific Ocean: Bassas da India, Clipperton Island, Europa Island, Glorioso Islands, Juan de Nova Island, Tromelin Island. See Islands controlled by France in the Indian and Pacific oceans. The main symbol of French military power in the 21st century: the Charles de Gaulle aircraft carrier. Gendarmerie (Gendarmerie Nationale), a military police force which serves for the most part as a rural and general purpose police force. Military age is 17. Since the Algerian War of Independence, conscription has been steadily reduced and was abolished under the presidency of Jacques Chirac in 1996. Among the larger European Union economies, France and the United Kingdom are the only significant spenders on defence: France with 2.6% of GDP, and the UK at 2.4%, according to 2003 figures from NATO. Those two countries account for 40% of EU defence spending. In most other EU countries, defence spending is less than 1.5% of GDP. About 10% of France's defence budget goes towards its force de frappe, or nuclear weapons. The first completed Airbus A380 at the "A380 Reveal" event in Toulouse on January 18, 2005. A member of the G8 group of leading industrialised countries, it ranked as the sixth largest economy in the world in 2005, behind the United States, Japan, Germany, The People's Republic of China and the United Kingdom. France joined 11 other EU members to launch the Euro on January 1, 1999, with euro coins and banknotes completely replacing the French franc in early 2002. According to the OECD, in 2004 France was the world's fifth-largest exporter of manufactured goods, behind the United States, Germany, Japan, and The People's Republic of China, and ahead of the United Kingdom. It was also the fourth-largest importer of manufactured goods (behind the United States, Germany, and China, but ahead of the United Kingdom and Japan). In 2003 France was the 2nd-largest recipient of foreign direct investment among OECD countries at $47 billion, ranking behind Luxembourg (where foreign direct investment was essentially monetary transfers to banks located in that country) but above the United States ($39.9 billion), the United Kingdom ($14.6 billion), Germany ($12.9 billion), or Japan ($6.3 billion). In the same year, French companies invested $57.3 billion outside of France, ranking France as the second most important outward direct investor in the OECD, behind the United States ($173.8 billion), and ahead of the United Kingdom ($55.3 billion), Japan ($28.8 billion) and Germany ($2.6 billion). With over 75 million foreign tourists in 2003, France is ranked as the first tourist destination in the world, ahead of Spain (52.5 million) and the United States (40.4 million). It features cities of high cultural interest (Paris being the foremost), beaches and seaside resorts, ski resorts, and rural regions that many enjoy for their beauty and tranquillity (green tourism). France has an important aerospace industry led by the European consortium Airbus and is the only European power (excluding Russia) to have its own national spaceport ( Centre Spatial Guyanais). France is also the most energy independent Western country due to heavy investment in nuclear power, which also makes France the smallest producer of carbon dioxide among the seven most industrialised countries in the world. As a result of large investment in nuclear technology, nearly nine tenths of the energy needs of the country are met by nuclear power plants (86.9% in 2005). Since prehistoric times, France has been a crossroads of trade, migrations, and invasions. Four basic European ethnic stocks - pre-Celtic, Celtic (Gallic and Breton), Latin, and Germanic (Franks, Visigoths, Burgundians, Vikings) - have blended over the centuries to make up its present population. Besides these "historic" populations, new populations have migrated to France since the 19th century: Italians, Spaniards, Portuguese, Poles, Armenians, Jews from Eastern Europe and the Maghreb, Arabs and Berbers from the Maghreb, Black Africans and Caribbeans, and Vietnamese, to list only the most prominent. It is currently estimated that about 50% of the French population descends in varying amounts from these different waves of migrations, making France one of the most ethnically diverse countries in the world, despite the still popular stereotypes of France as an essentially Gallic country. Nevertheless, the immigrants from other European countries have an easier time blending in, while the non-European groups tend to assimilate at a slower pace, because of greater cultural barriers and social discrimination. Starting with the 19th century, the historical evolution of the population in France has been extremely atypical in the Western World. Unlike the rest of Europe, France did not experience a strong population growth in the 19th century and first half of the 20th century. On the other hand, it experienced a much stronger growth in the second half of the 20th century than the rest of Europe or indeed its own growth in the previous centuries. After 1974, France's population growth stalled, and reached its nadir in the 1990s with only 0.39% annual growth, being now more in tune with the rest of Europe, which has entered demographic decline. However, first results from the 2004 French census have greatly surprised demographers. The census revealed that population growth rebounded significantly after the 1999 census, something nobody had anticipated. From 1999 to 2003, annual population growth was 0.58%. In 2004, population growth was 0.68%, almost reaching North American levels. 2004 was the year with the highest increase in French population since 1974. France is now well ahead of all other European countries (except for the Republic of Ireland). In 2003, France's natural population growth (excluding immigration) was responsible for almost all the natural growth in European population: the population of the European Union increased by 216,000 inhabitants (without immigration), of which 211,000 was the increase in France's population alone, and 5,000 was the increase in all the other countries of the EU combined. In 2004 the natural increase in France's population reached 256,000, but figures for other European countries are not available yet. These unexpected results bear great consequences for the future. At the moment, France is the third most populous country of Europe, behind Russia and Germany. By 2050, demographers initially thought the population of metropolitan France would be 64 million inhabitants, but they now agree that their estimates were too conservative, being based on the 1990s growth rate of population. Demographers now estimate that by 2050 metropolitan France's population will be 75 million, at which time it will be the most populated country of the European Union, above Germany (71 million), the United Kingdom (59 million), and Italy (43 million). In 2005, birth and fertility rates continued to increase. The natural increase of births over deaths rose to 270,100. The lifetime fertility rate rose to 1.94 in 2005, from 1.92 in 2004. Net immigration fell slightly in 2005 to 97,500. In France immigration accounts for about on quarter of the total population increase--the average for all of Europe is about 80%. If these estimates become reality, it may fundamentally alter the balance of power in Brussels. It would be the first time since the 1860s that France is the nation with the largest population within Europe (Russia excluded). In mid-2004 the EU had 460 million inhabitants, 13.6% of whom were living in France (including overseas départements). By 2050 it is estimated that the population of the European Union (of the current 25 members) will have declined to 445 million inhabitants, of whom 17.5% will be living in France. According to the UNHCR, the number of people seeking political asylum in France rose by around 3 % between 2003 and 2004, while in the same period, the number of asylum applications submitted in the United States fell by about 29 %. France thereby replaced the United States as the world's top destination for asylum-seekers in 2004. Please note that the French-born children of immigrant parents are usually considered "French" and not immigrants. Therefore are not included in the census as such, leading to the conclusion that the overall number of people of immigrant descent living in France is much higher than the official numbers given by the French national institute of statistics. Most demographic experts in France said the official census numbers should be multiplied by a factor of 2 in order to have a more realistic number of French people with foreign backgrounds, assuming that the birth rate in the country is around 2 children per couple. As a result, the number of French citizens with foreign origins is generally thought to be around 8-9 million , which ultimately represents 16% of the country's population. Despite the relatively high percentage, the proportion of immigrants in France is on par with other European nations such as the United Kingdom (15%) , Germany (20%) , the Netherlands (20%) , Sweden (15%) and Switzerland (19%) . The sole official language of France is French, according to Article 2 of the Constitution since 1992. However, in metropolitan France several regional languages : High German varieties (namely Alsatian and Lorraine German), Occitan (incl. Gascon and Provençal), Oïl dialects (such as Picard and Poitevin-Saintongeais), Basque, Breton, Catalan, Corsican and Franco-Provençal. They are also occasionally understood and spoken, mostly by elderly people. Also several languages are spoken in the overseas departments and territories: Creole languages, Amerindian languages, Polynesian languages, New Caledonian languages, Comorian. However, the French government and state school system discouraged the use of any of those languages until recently. They are now taught at some schools. However, French remains the only official language in use by the government at the local and national level; this makes France unique among the Western European nations (excluding microstates) as the only country with just one officially recognized language. Some languages spoken by immigrants are also frequently heard, especially in large cities: Portuguese, Maghreb Arabic, several Berber languages, several languages of Sub-Saharan Africa, Turkish, several spoken variants of Chinese (most notably Wu, Cantonese, Teo Cheow, and Mandarin), Vietnamese, and Khmer are the most frequently spoken. Despite foreign stereotypes, many French people can speak at least one foreign language (45% are able to participate in a conversation in a foreign language according to Eurobarometer 62.4 done in 2005), especially in cities and border regions such as the Pyrénées, Alsace, or the Alps. English (34%), Spanish (10%), German (7%) and Italian are spoken with various degrees of proficiency and many families living near the borders are perfectly bilingual. Here is a list of the nine most prominent mother tongues in France based on Enquête familiale. It is important to read the notes at the Languages of France article in order to correctly interpret the numbers. 1 French 39,360,000 86% The real figure for the whole population is closer to 90%, see notes. 4 Oc languages ( Languedocian, Gascon, Provençal, etc.) 610,000 1.33% Another 1,060,000 (2.32%) had some exposure. 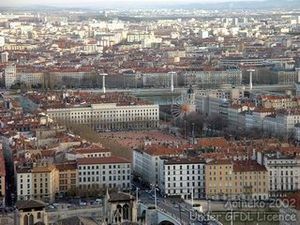 Aix-en-Provence, Ajaccio, Albi, Amiens, Angers, Angoulême, Annecy, Antibes, Arles, Avignon, Bastia, Beauvais, Belfort, Besançon, Béziers, Blois, Cahors, Bordeaux, Bourges, Brest, Brive-la-Gaillarde, Caen, Calais, Cannes, Carcassonne, Chalon-sur-Saône, Châlons-en-Champagne, Chambéry, Charleville-Mézières, Châteauroux, Cholet, Clermont-Ferrand, Colmar, Dijon, Dunkerque, Évreux, Fréjus, Grenoble, Hyères, La Rochelle, La Roche-sur-Yon, Le Havre, Le Mans, Lille, Limoges, Lorient, Lourdes, Lyon, Marseille, Metz, Montauban, Montpellier, Mulhouse, Nancy, Nantes, Narbonne, Nice, Nîmes, Niort, Orléans, Paris, Pau, Perpignan, Poitiers, Quimper, Reims, Rennes, Roubaix, Rouen, Saint-Brieuc, Saint-Étienne, Saint-Malo, Saint-Nazaire, Saint-Quentin, Strasbourg, Tarbes, Toulon, Toulouse, Tourcoing, Tours, Troyes, Valence, Vannes, Villeneuve-d'Ascq, and Villeurbanne. Popular sports in France include football (soccer), rugby union, basketball, and cycling. France hosted the 1998 FIFA World Cup, which the national football team won. The country will also host the 2007 Rugby World Cup. The national stadium, Stade de France is where the final will be played. The stadium is also used for the national rugby union team's home matches, including the Six Nations Championship. Marianne is a symbol of the French Republic. 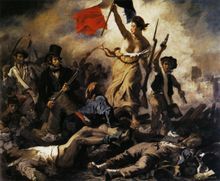 She is an allegorical figure of liberty and the Republic and first appeared at the time of the French Revolution. The earliest representations of Marianne are of a woman wearing a Phrygian cap. The origins of the name Marianne are unknown, but Marie-Anne was a very common first name in the 18th century. Anti-revolutionaries of the time derisively called her La Gueuse (the Commoner). It is believed that revolutionaries from the South of France adopted the Phrygian cap as it symbolised liberty, having been worn by freed slaves in both Greece and Rome. Mediterranean seamen and convicts manning the galleys also wore a similar type of cap. Under the Third Republic, statues, and especially busts, of Marianne began to proliferate, particularly in town halls. She was represented in several different manners, depending on whether the aim was to emphasise her revolutionary nature or her "wisdom." Over time, the Phrygian cap was felt to be too seditious, and was replaced by a diadem or a crown. In recent times, famous French actresses are given the title of Marianne. Recent ones are Sophie Marceau, and Laetitia Casta. She also features on everyday articles such as postage stamps and coins. Traditionally a predominantly Roman Catholic country, yet also with anticlerical leanings, France has since the 1970s been a very secular country. Freedom of religion is constitutionally a right, inspired by the Declaration of the Rights of Man and of the Citizen. The dominant concept of the relationships between the public sphere and religions is that of laïcité, which implies that the government and government institutions (such as schools) should not endorse any particular religion or intervene in religious dogma, and that religions should refrain from intervening in policy-making. Tensions occasionally erupt about alleged discrimination against minorities; see Islam in France. The government does not maintain statistics as to the religion of its inhabitants. Statistics from an unspecified source and date given in the CIA World Factbook gives the following number: Roman Catholic 83 to 88%, Muslim 5 to 10%, Protestant 2%, Jewish 1%. However, in a 2003 poll 41% said that the existence of God was "excluded" or "unlikely". 33% declared that "atheist" described them rather or very well, and 51% said they were "Christian". When questioned about their religion, 62% answered Roman Catholic, 6% Muslim, 2% Protestant, 1% Jewish, 2% "other religions" (except for Orthodox or Buddhist, which were negligible), 26% "no religion" and 1% declined to answer. A Gallup poll established that 15% of the French population attend places of worship. In a more recent Eurostat "Eurobarometer" poll, in 2005, 34% of French citizens responded that "they believe there is a God", whereas 27% answered that "they believe there is some sort of spirit or life force" and 33% that "they do not believe there is any sort of spirit, God, or life force". France, as all EU countries, is under an EU directive to reduce sewage discharge to sensitive areas. As of the present France is only 40 per cent in compliance with this directive, placing it as one of the lowest achieving countries within the EU with regard to this wastewater treatment standard . The Landes forest coast with its 100-mile beach. The Calanques of Marseille, on the southern coast of the second-largest French city. Nice, on the French Riviera.